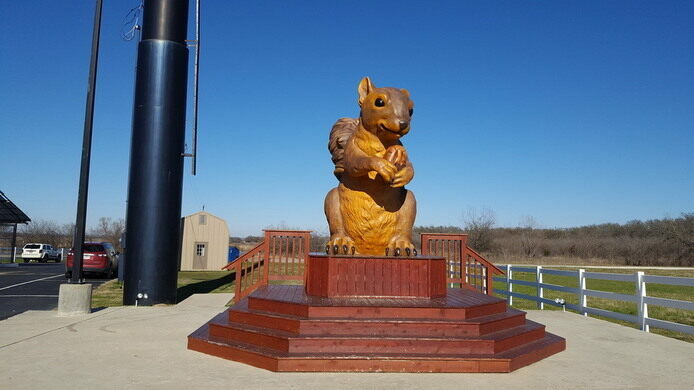 If you find yourself driving down Highway 71 through Texas, you’re probably going to want to keep an eye out for signs directing you toward the giant squirrel statue holding a pecan. 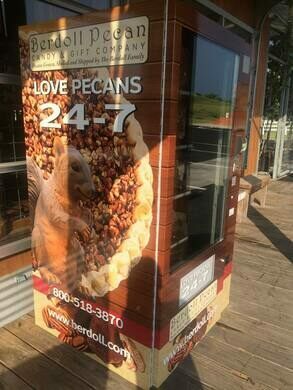 Because next to this peculiar roadside statue is something that should absolutely not be missed: a vending machine stocked with full-sized homemade pecan pies. 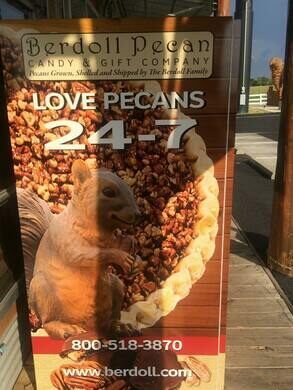 Both the squirrel statue and pie vending machine belong to the nearby Berdoll Pecan Farm, whose pecan pies were in such high demand the business put in a 24-hour vending machine to satisfy pie-lovers ‘round the clock. 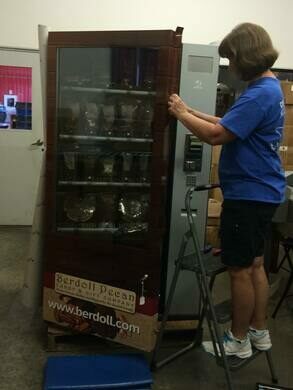 The pecan pie machine—thought to be the only one of its kind in the United States (thank you Texas)—is located out front at the Berdoll Pecan Candy & Gift Company shop. It’s restocked every day with freshly baked pies and other sweet pecan treats, and even more frequently during the holiday season. As for the squirrel, aka “Ms. Pearl,” she stands 14 feet tall, clutching a pecan bigger than your head. The statue beckons dozens of passersby a day off the highway for photo ops. And of course, pie. 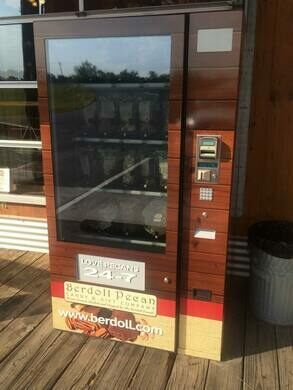 If coming from Austin, the Berdoll Pecan Candy & Gift Co will be a left turn off the highway. There is a "loop" so if you miss the first left turn lane, you'll soon see another. 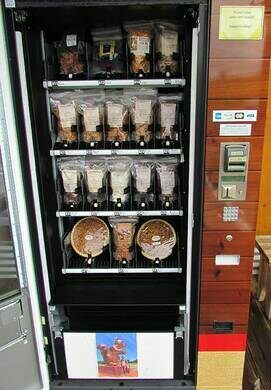 If you visit during business hours, the pies are $3 less in the store than they are from the vending machine.